Bill likes to be active, a lean, mean, nutrition machine. 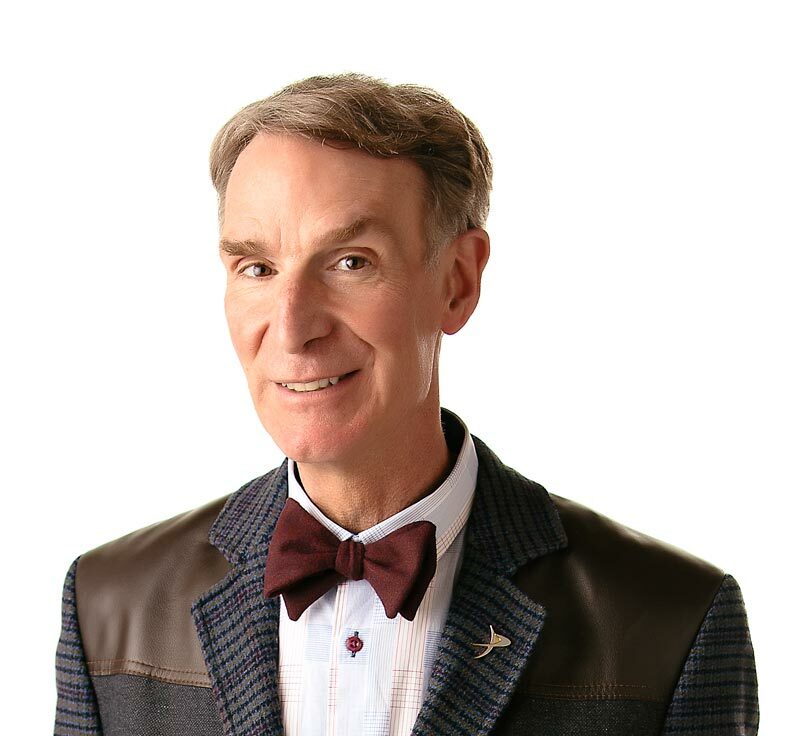 Find out about his eating habits in this episode of Bill Nye the Science Guy. Bill is bustling with activity. He grew up from a baby, for one thing. Now, he bikes. He can walk really fast. He even dances. What’s his secret? Food, food, and more food. It’s important to give your body enough food every day. Food is a body’s fuel, and just like a car, your body needs food to make energy and keep going. One cannot live on crispy pork rinds alone. A balance of food from all the major groups is essential to good health. And don’t forget breakfast – watch the show to find out how this important meal got its name. All food, whether it’s protein, fat, carbohydrates, vitamins, or minerals, is made of chemicals. When your body gets a hold of these chemicals, it recombines them and makes energy. Different types of food make different amounts of energy, which are measured in calories. How do scientists figure out the amount of calories in food? In this episode, Bill will reveal the secrets of the bomb calorimeter – an instrument of food science. If you’re hungry for science, the “Nutrition” episode is food for thought – or thought for food? Humans have to eat many different kinds of food to stay healthy. A can of regular soda weighs more than a can of diet soda because of all the sugar? Calcium, the mineral for strong teeth and bones, is not just in milk, it’s also found in leafy dark green veggies such as spinach and broccoli? If you eat a huge number of carrots, your skin will turn orange? “Food and Nutrition” by William H. Sebrell, Jr. and James J. Haggerty. Published by Time-Life Books, 1986. “Eat Well” by Miriam Moss. Published by Cresstwood House, 1992.